When I tuned in the meeting tonight on TV, the discussion was almost over. I came in just in time to see Dimmick return to the podium clutching a handful of checks made out to the Sheriff's Dept., the CHP and others. His apparent success at rounding up the money did not convince Commissioner Ralph Faust. When the chairman asked, "What's the pleasure of the commission on this matter?" Faust put forward a motion to "adopt the resolution circulated by staff ... to cancel the Reggae Rising event because of failure to comply with the conditions of approval and mitigation measures." But he still wanted it canceled. He went on to say he was not impressed by Dimmick's "grandstanding" at tonight's meeting. Commissioner Bruce Emad, identifying himself as a longtime supporter of the festival, said he agreed with Faust. He too thought Reggae Rising should be cancelled for this year. "When I say 'Yes,' I give him a license to go one more year and defraud a whole bunch of merchants and people who put their heart and soul into this thing," said Emad. Dimmick's only hope was a motion to continue the item -- and that's what he got from Commissioner Dennis Mayo, who noted, "I want to see him pay the money with the checks he brought tonight." Mayo added that another condition for approval was that "everything will be done" by the commission's July 1 meeting. Commissioner Jeffrey Smith seconded Mayo's motion. A vote was taken. It passed. Reggae Rising got another reprieve: Dimmick was given another two weeks -- until July 1 -- to get his ducks in a row. In the end, the chairman called Dimmick back to the podium to tell him, "You have an enormous task in front of you... . I expect you plan to be busy as a beaver." Dimmick assured him he's already been as "busy as a beaver" and will stay busy in the weeks ahead. 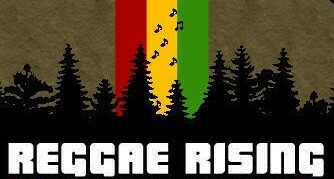 Reggae Rising is scheduled for August 6-8. Tune in July 1 for the next episode of the RR Planning Commission saga.